More and more people decide to grow herbs in their homes – it’s simple, cheap and you know that the way they’re grown is completely organic, without any chemicals! 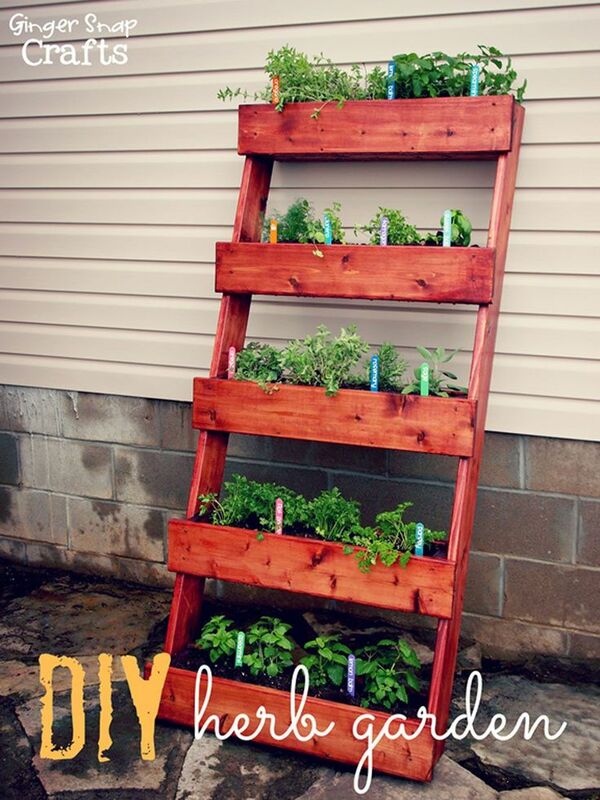 But, growing your own herbs can help you in other things as well, and that is decorating. You may wonder how something so simple-looking as herbs can do it, but if you experiment with the planters, you will realize that there are many options to try out. It can be painting, drawing, using stickers or ribbons – it’s all a matter of taste. 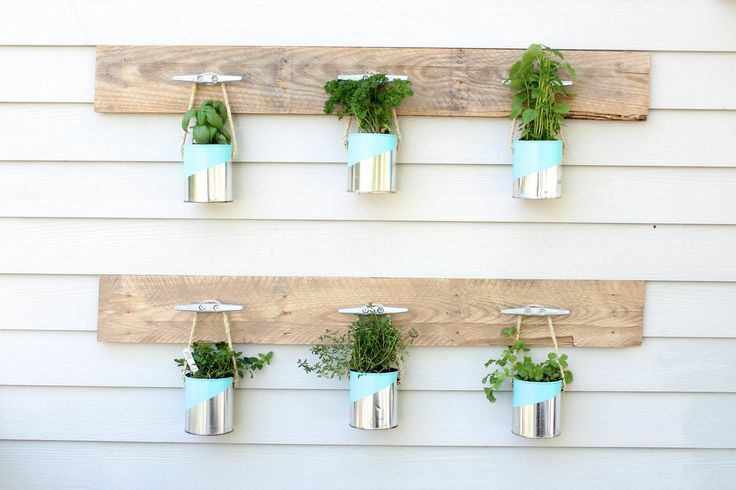 In this article, we are showing you ten amazing ideas of small herb gardens. Let us know which one is your favorite! This is one of the cutest eco – friendly projects you can come up with. It’s very budget – friendly, easy and simple, yet it will look as perfect as if it’s store – bought! 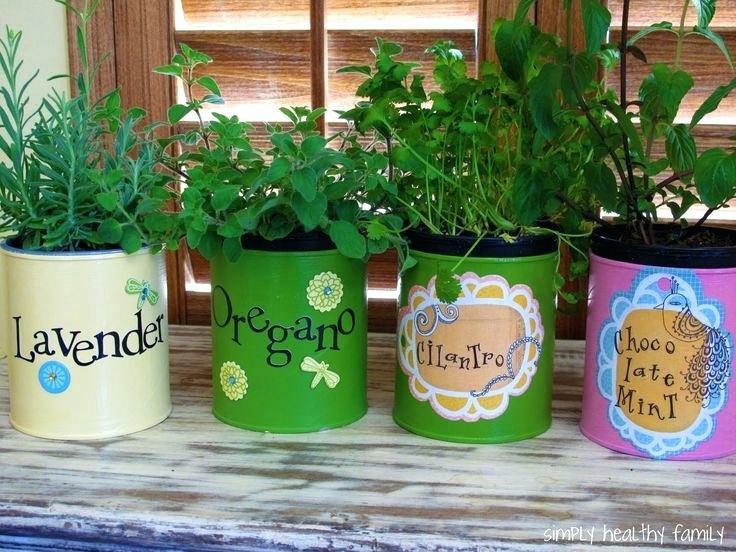 Just take your old tin cans and instead of throwing them away, turn them into beautiful planters for herbs. Get some paint, brushes and if you want it to look more decorative, you can get some stickers as well. 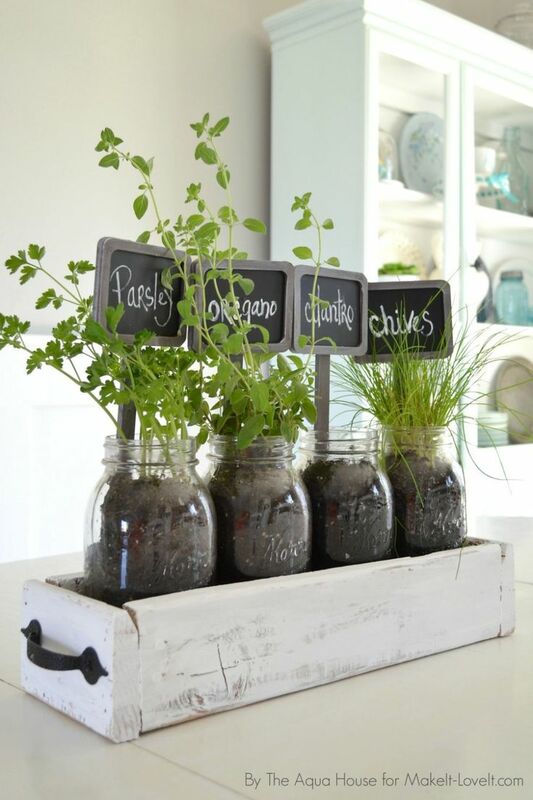 Here’s a beautiful way to decorate your kitchen and still have your own herb garden. Get your old cans, clean them out and use them as your herb planters. Place them inside large terra-cotta saucer and decorate it with pebbles. 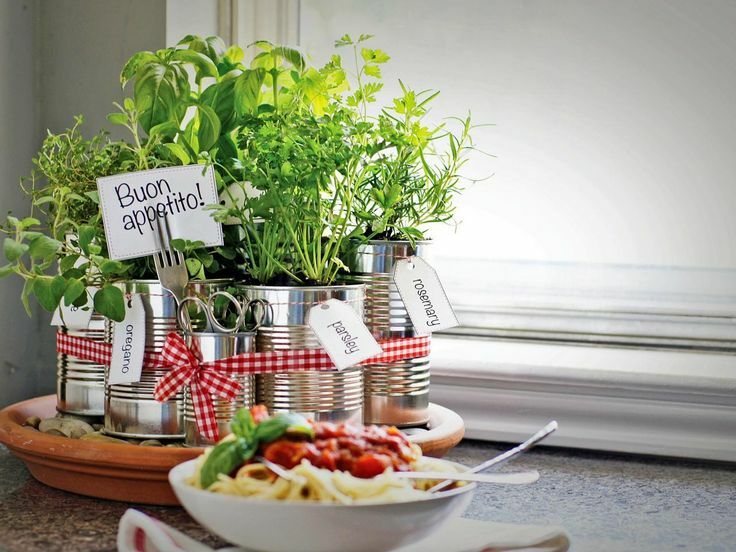 For more decoration, you can wrap all cans with gingham ribbon and use name tags for your herbs. It’s a simple decoration, but very beautiful! Isn’t this such gorgeous stacked garden? They look amazing and you can make few stacked gardens and experiment with the plants – it can be herbs, succulents or flowers. With such beautiful way of presenting your plants, your garden is going to be your new favorite place. To make your own stacked garden, you need containers, paint and chalkboard paint markers. The tabletop herb garden is the perfect small garden that you can put literally wherever you want, no matter if it’s inside or outside the house. It doesn’t occupy much space and it’s going to be easy to clean it. Here’s what you need: scrap wood from an old pallet, chalk paint or stain, two handles, quart Mason jars, potting soil, herbs and/or seeds, nails and hammer or brad nailer. If you don’t feel like crafting or experimenting with different types of herb gardens, then one of the easiest and budget-friendly way to do this is to get a terracotta planter and plant the herbs in it. Decide how many herbs you’d like to plant and according to this number, get either a bigger or smaller planter. You can put it on your doorstep or among other plants in the garden. When talking about herb garden, it doesn’t need to be a mason jar, an old tin can or a terracotta pot. Think outside the box and you can get really creative ideas! 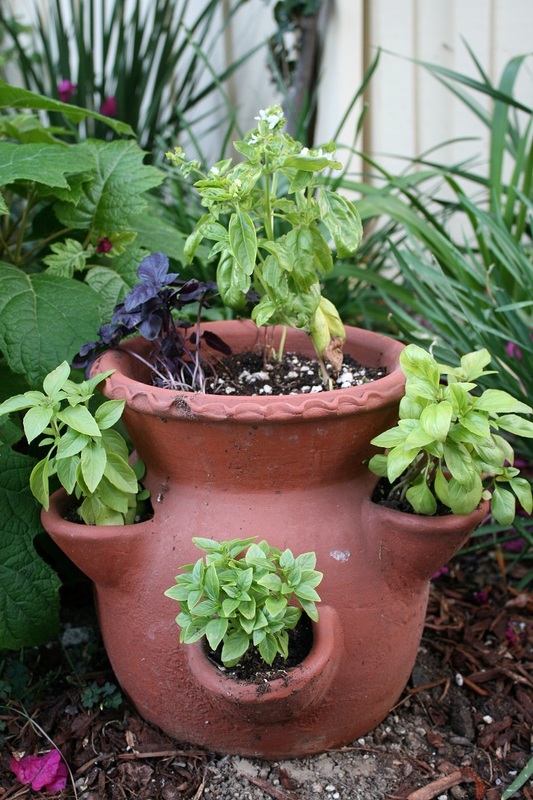 Have you ever thought about using utensil cady as your herb garden base? 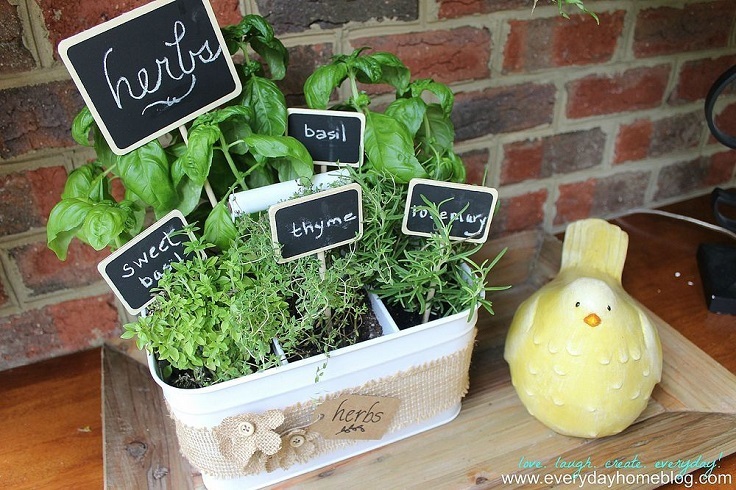 As you can see from this photo, it looks extremely cute and it’s unusual, but such cool way of presenting your very own herb garden. We’re back at the good old cans. Reusing old objects help us keep the environment clean and detach us from constantly getting new stuff when we can just reuse old ones and come up with an amazing home decor. This project is the real proof for it – look how gorgeous these cans look? Your backyard will have an amazing decoration and it will motivate you to look after your little herb garden every day! Are you looking for a way to decorate your kitchen or maybe your backyard? 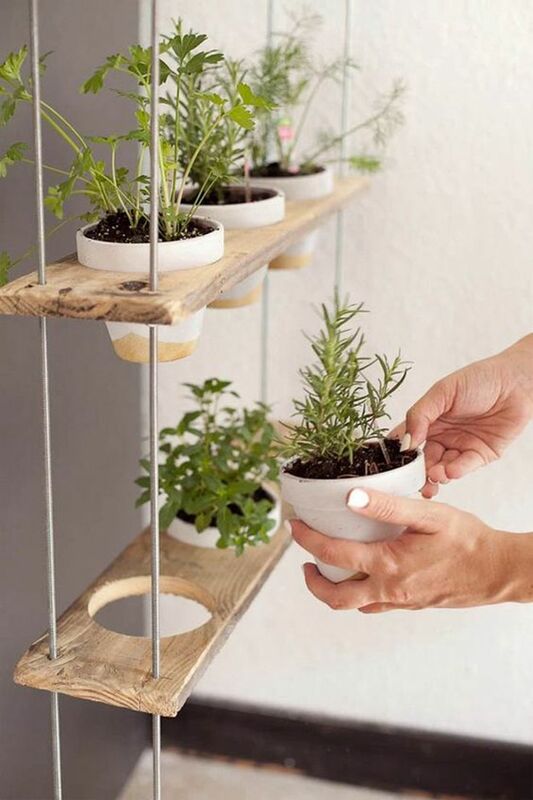 In that case, this hanging herb garden would fit perfectly no matter where you would put it. To make your own, here are the materials that you need: 5 – 1/2″ planks, 24″ long x 5 1/2″ wide, 8 – 3/16 threaded rod, 36″ long, 4 – threaded rod coupling, 20 – 3/16 nuts/washers, 4 – 3/16 crown bolts, drill and 3 1/2″ hole saw. The kitchen leaves us with plenty of decoration ideas! One of the best ideas are those that don’t occupy much space, just like these hanging mason jars turned into a herb garden. 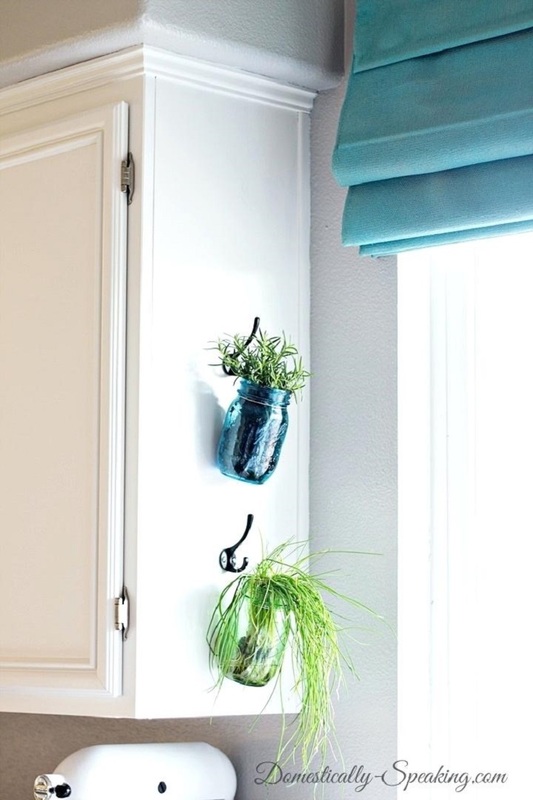 Besides the jars and the herb supplies, you will also need hooks and wire. 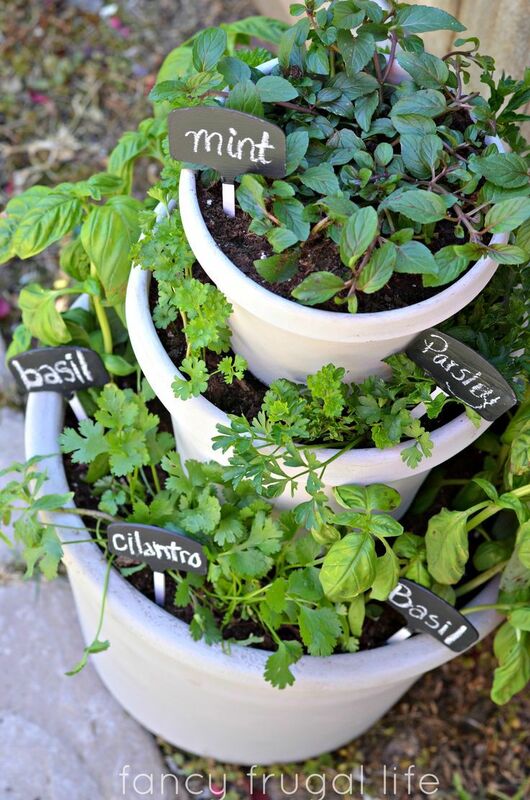 Depending on the variety of herbs you’ve chosen it, you can place them near a window to get plenty of sunlight. If you arrange your herb garden like this, it will definitely be the best decor you can come up with – be prepared to be constantly asked how did you do it. Start by getting the needed building supplies and everything herb – related, such as watering can, soil and liquid fertilizer. The project will take you some time to do it, but all the efforts will be worth it at the end. If you don’t feel like crafting too much, you can just get an old ladder instead. I enjoyed your 10 herb garden ideas, from Pinterest I gather. Great, fancy but yet simple to do ideas. Fun, children/ grand children, projects to involve them.